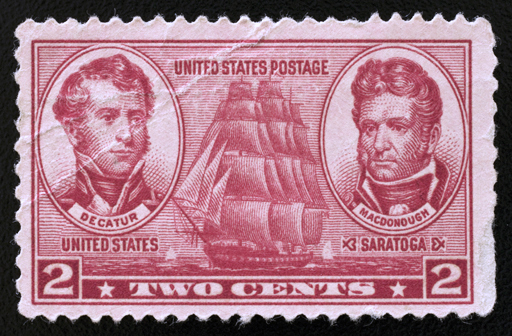 United States stamp: Navy issue, USS Saratoga, 1936-37. 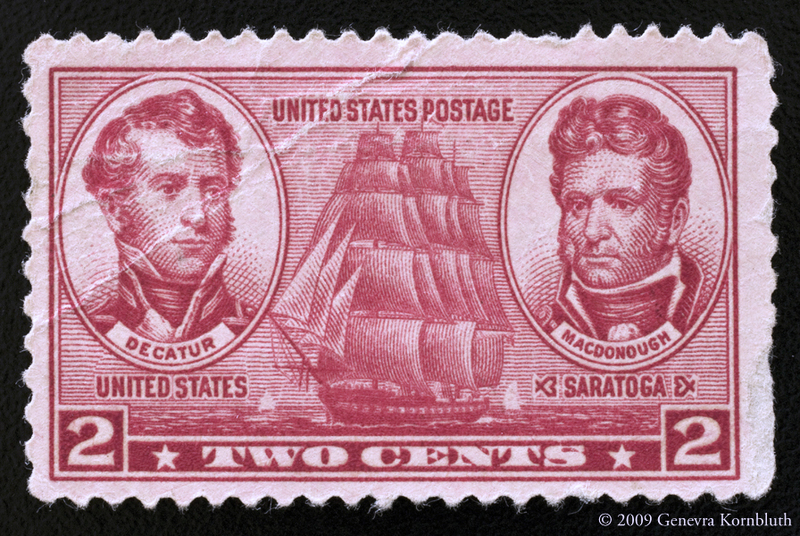 The overall view documents the condition of the previously folded stamp. The details below show the configuration of the ship, and the man standing on the quarterdeck. Private collection.